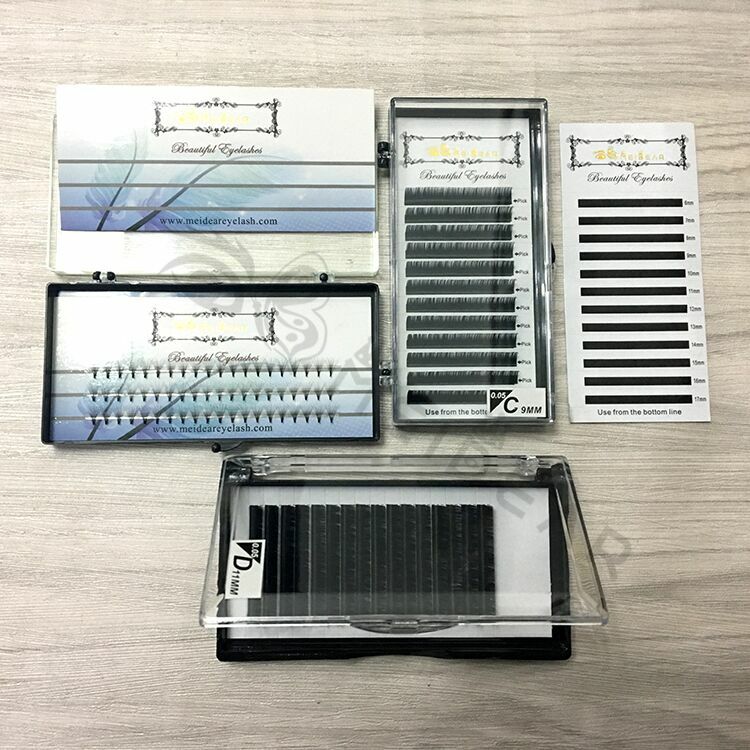 Distributor supply handmade flare clusters knot free lashes thickness 0.05 0.10 0.15mm.A good new for customers who want to own the more easy and fast Pre-fanned volume eyelash extensiones! 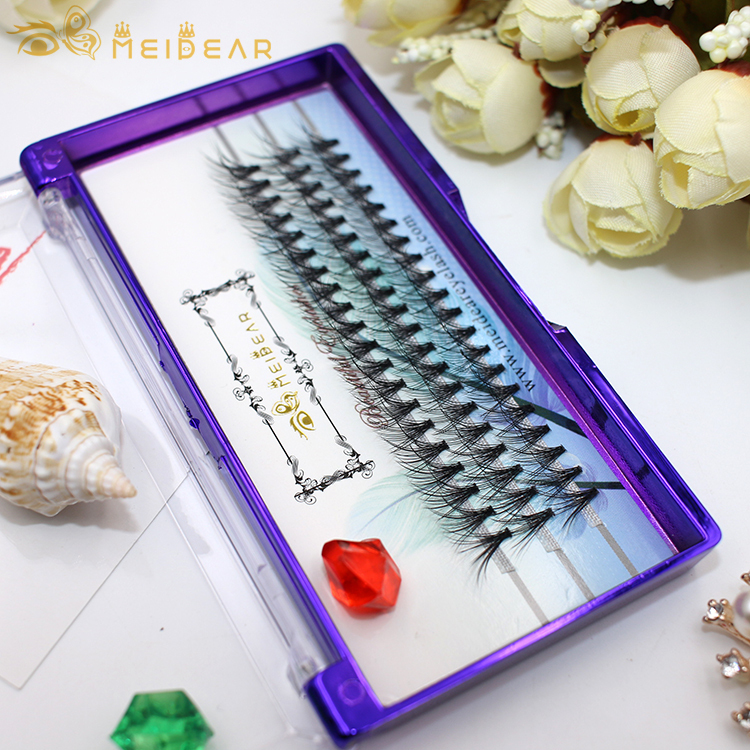 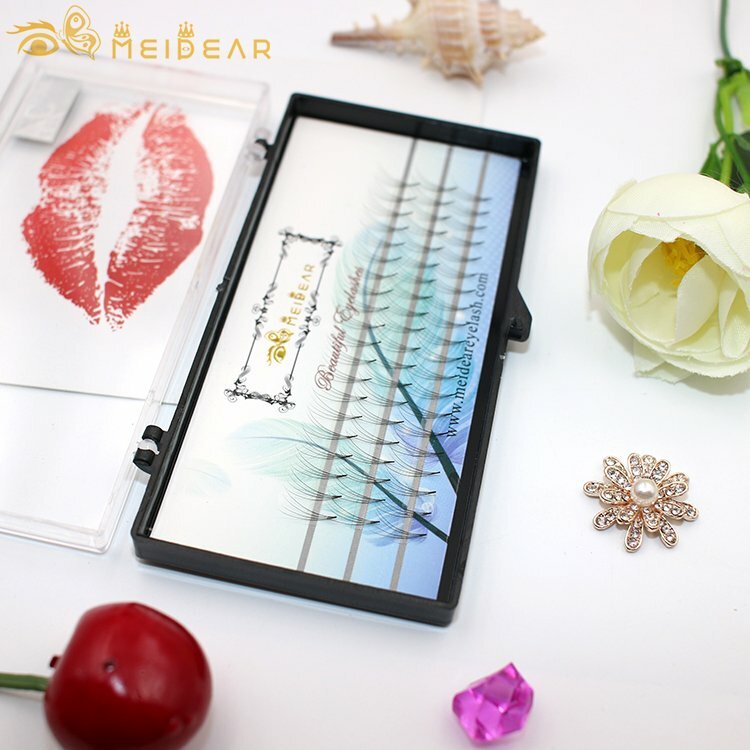 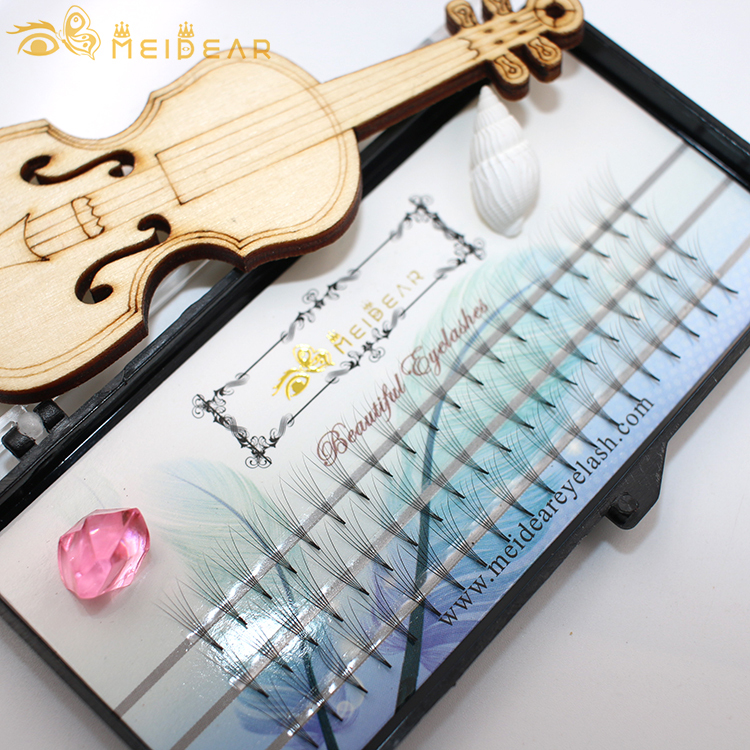 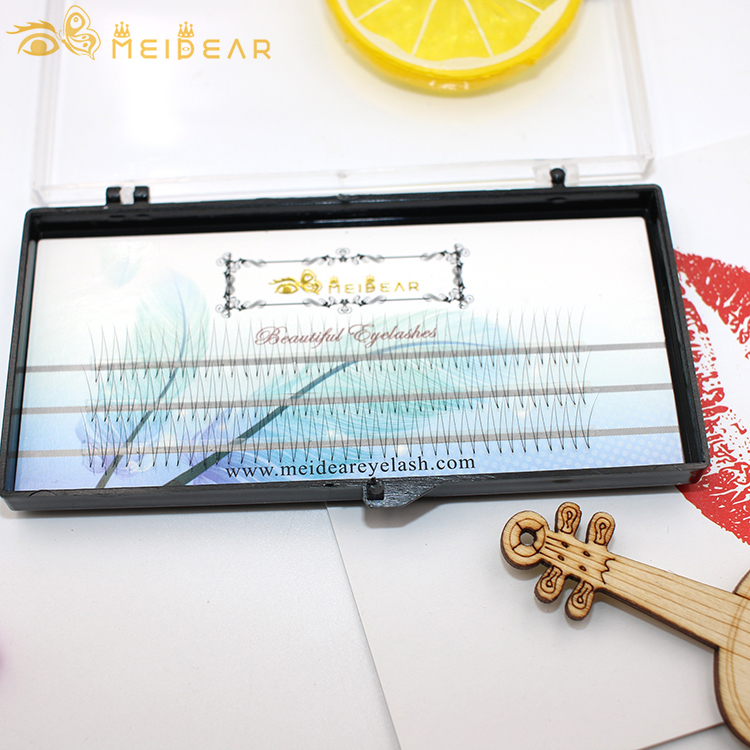 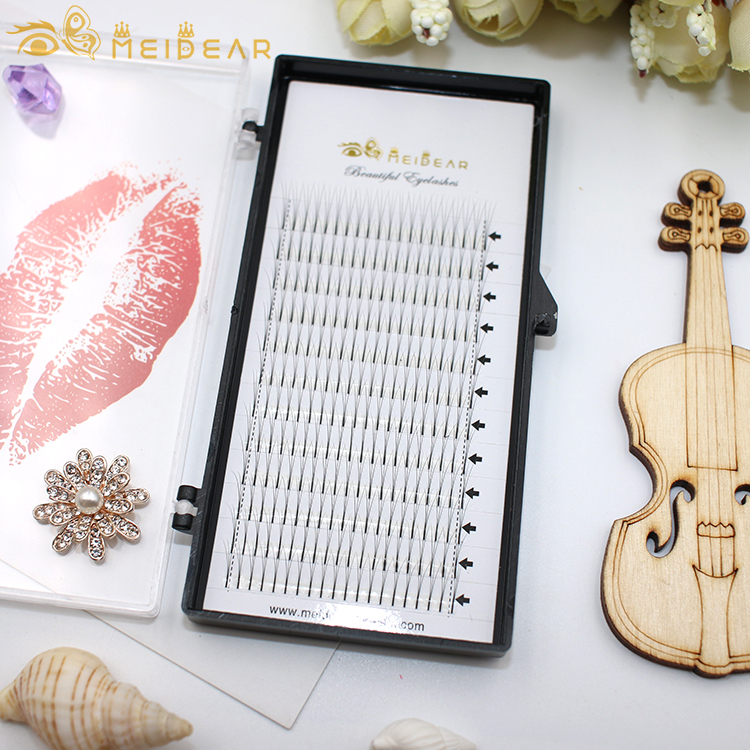 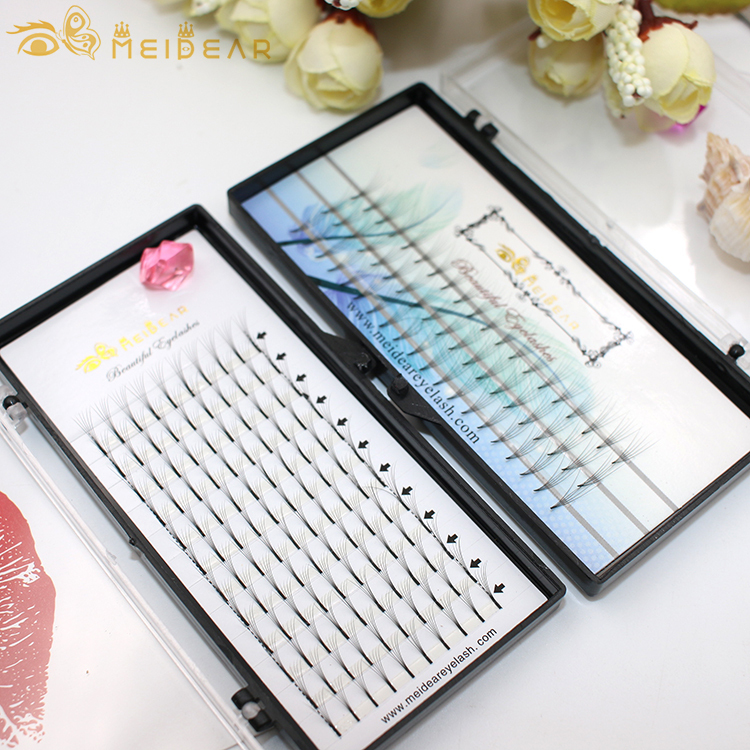 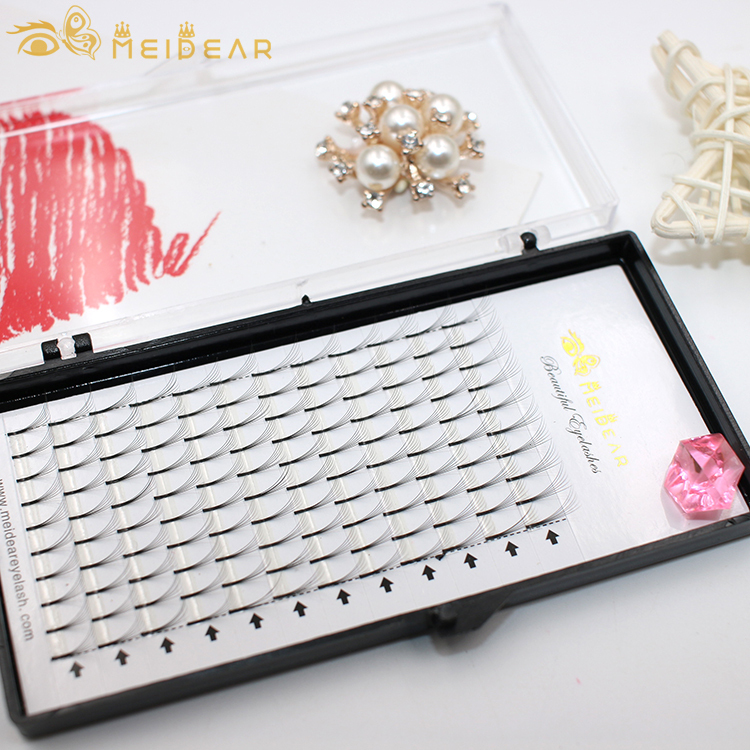 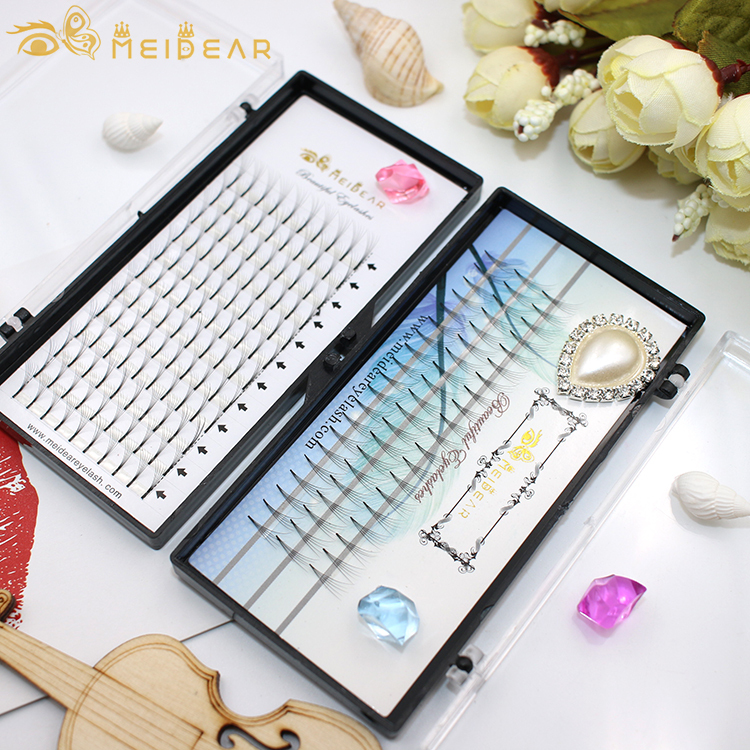 Meidear volume eyelash extension provide knot free fans are made from soft and elastic 0.05mm,0.07mm,0.10mm and 0.15mm, they are ultra-light , thin and without the gule remains. They look very natual. 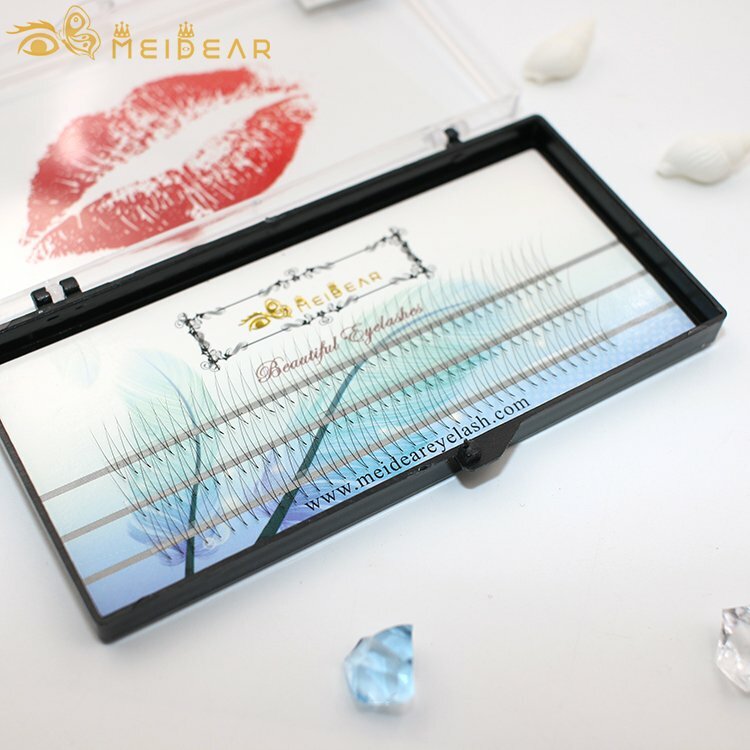 The fans can be taken our from the tape easily, using the fewest glue to fix,especially the short base.Individual Flare Cluster knot free eyelashes are more light and fluffy and give people a fuller look. 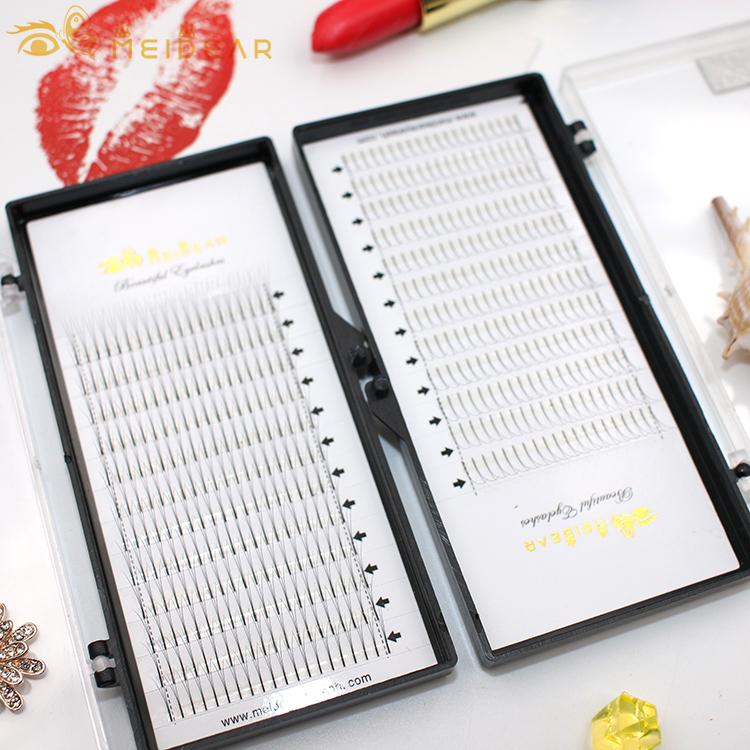 The most famous benefit of the pre fan volume technique is that, it helps people to own a full and voluminous of eyelashes who have sparse and thin natural eyelashes.Compared with the classic eyelash extensions, the volume lashes are more soft, fluffy and multi dimensional.It was famous for lightweight, last long time than classic eyelash extensions on some customers.